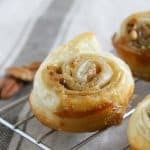 An easy spring dessert full of apricot flavor! 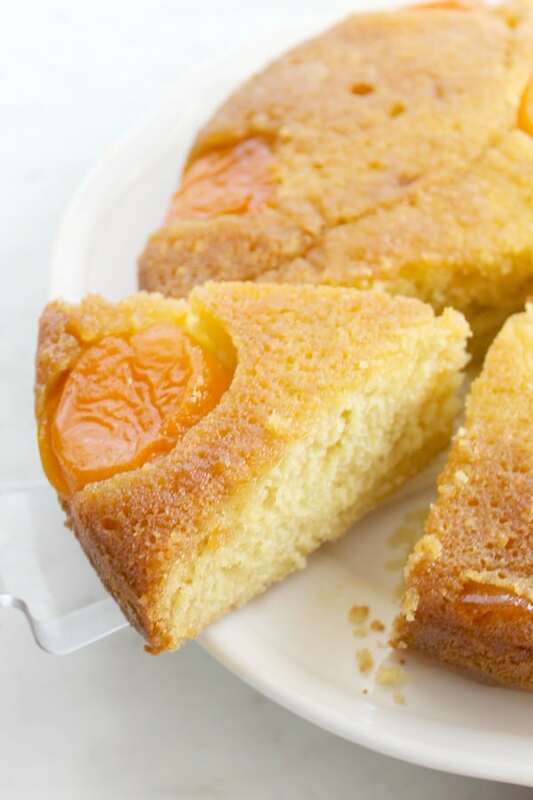 This Upside Down Brown Sugar Apricot Cake is the perfect spring dessert! This cake almost made me break my Lenten resolution. I decided to give up cake for Lent! I know! How could I? Well because cake, chocolate and all desserts really are my weakness. I figured it was something good to abstain from. It is hard but it is also rewarding! My jeans fit better and I have realized I won’t actually die if I don’t eat cake or sweets! 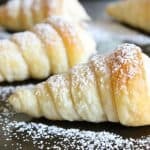 All of my daily cravings have almost gone so I feel better too! 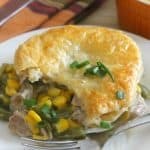 This weeks Sunday Supper is hosted by Anne from Simple and Savory. 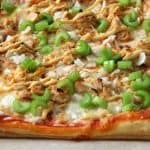 We are giving you ALL the Spring recipes that you can handle. So make sure you check them out at the bottom! 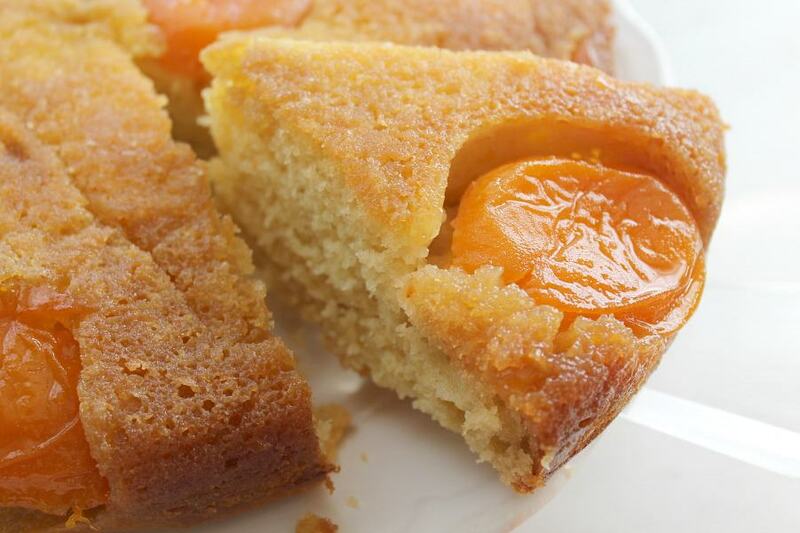 When making this cake I chose to use canned apricots but you could definitely use fresh. 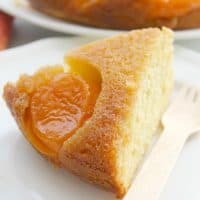 When I lived in NC I always had a very hard time trying to find fresh apricots so I wanted to make this Upside Down Brown Sugar Apricot Cake with something everyone could use. So I went with canned. ENJOY! Preheat oven to 350 degrees. Grease a 9″ springform pan. Set aside. In a large bowl whisk eggs lightly. Add sour cream, honey, vanilla and apricot juice whisking till combined. Add remaining ingredients and whisk till just smooth. In medium pan add butter and brown sugar. Allow to cook for 3 minutes or until butter is melted and mixture is smooth. Pour into the bottom of the pan. Top with apricots, pit side up. Pour cake mixture over the apricots and smooth out. Cook for 35-40 minutes or until tooth pick inserted comes out clean. Allow to cool for two minutes. Invert onto serving dish and release from pan. Hi Nancy, beautiful cake, love the color. The rexture and crumb look perfect. Have a great Sunday! Hi Nancy, Upside down cake is for me, a life time favourite. There’s something about the cake that soaks up the syrupy brown sugar and fruit. Yours looks beautiful. You have more willpower than I. I’m afraid I would’ve given in and had a slice of this lovely cake. I was tempted but didn’t dive in like I wanted to! I love, love apricots and your cake looks fantastic!!! I gave up chocolate for Lent so I’d be happy to eat your share of this yummy cake! This looks so pretty and sunny! I am so glad you used canned as I will be more apt to make this now and know it would work! Yes! So glad I used the canned apricots as well! Your pictures are gorgeous, Nancy! 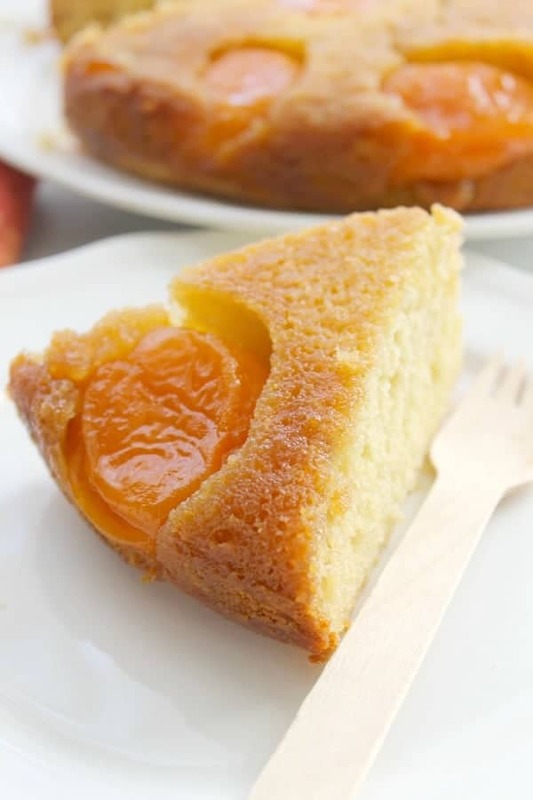 I love apricots and upside down cakes, what a great combo! Very helpful for me, awesome article. Apricots! That’s a fruit I hardly ever have. Looks like a perfect cake and the colors of spring. So glad you tried it and liked it!